We are engaged in manufacturing of abdominal board and we also provide it in different different sizes. 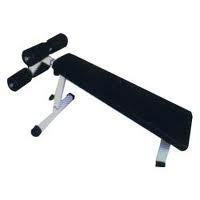 We have in our store a qualitative assortment of Gym Strength Equipment of Skypro series. These are manufactured by our vendors using sophisticated technology and top grade raw material. Owing to this, our weigh lifting benches provide optimum support to the back while lifting the heavy weights. The Ab Swing provides an effective means of exercising your abdominal muscles. You can perform a variety of ab exercises on the Ab Swing, including those that work your upper abs, lower abs and obliques. Your obliques are your side ab muscles.